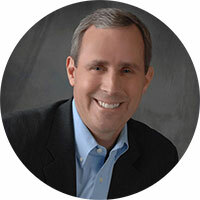 David Thompson, MD, serves as CEO and chief medical officer for Health Navigator, Inc. He is the inventor of the Health Navigator Natural Language Processing (NLP) Engine and principal architect of the platform and clinical vocabulary. A part-time faculty attending in the Northwestern Memorial Hospital Emergency Department, Dr. Thompson has previously served as medical director and chair of the Department of Emergency Medicine at MacNeal Hospital Emergency Department. He received both an engineering degree and his medical degree from the University of Illinois.